Conveniently located in Sevenoaks, the salon is open Monday - Friday during term time and on Wednesdays during the school holidays by appointment. 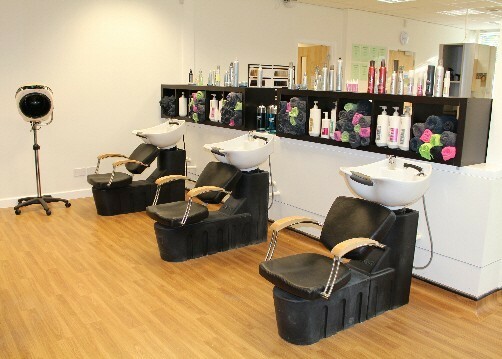 Members of the public are invited to freshen up their hairstyle in our fully equipped hair salon. Students are supervised by our highly trained professional staff, allowing you to relax and enjoy your experience. In the summer holidays, we are open on Wednesdays only - 10:00am - 4:00pm. Download our price list here. Students working in the salon are currently completing vocational qualifications in hairdressing and barbering at levels 1, 2 and 3. The vocational staff teaching these students are highly skilled and very experienced, having obtained all the vocational and academic qualifications required to train ‘tomorrow's salon staff’. Staff regularly update their skills and knowledge in line with national occupational standards. Services in the training salon take a little longer than those completed by a fully trained and experienced stylist in a high street establishment, so please allow for this when booking your appointment.